Buoyed by the presence of some stand-out figures at second string level, Sunderland romped to the top of the Under-21 Premier League during the first half of the season. The likes of Duncan Watmore, Lynden Gooch and Charis Mavrias all made their quality tell against players of a similar age, yet the loss of that trio and others has taken its toll on the U21s at the start of 2016. Two U18s, Daniel Wright and Andrew Nelson, started the 1-0 defeat to PSV Eindhoven, as Sunderland were eliminated at the quarter-final stage of the Premier League International Cup, with the extra quality in the Dutch side's ranks ultimately telling in the second half. It's not necessarily a bad thing that development coach Andy Welsh is having to turn to youth. 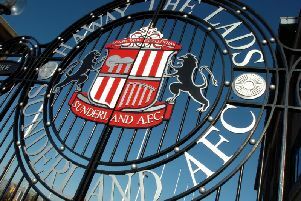 The more that the rookies in Sunderland's academy ranks can push themselves, then the better it is for their hopes of eventually making the grade at the Stadium of Light. But other than winger Rees Greenwood, Sunderland just couldn't pose enough of a threat against a PSV side littered with Dutch U21 and U19 internationals. Not that PSV were completely convincing themselves. The first half was characterised by a focus on short passing and ball retention, yet little in the way of clear-cut opportunities. Highly-rated PSV striker Steven Bergwijn was one of the few players in the visitors' ranks who looked a threat to the Sunderland goal and thrashed a shot into the side netting after beating a couple of defenders on the edge of the area. At the other end, Greenwood produced a couple of eye-catching slalom bursts into the PSV box, albeit he was let down by the execution on his final cross or shot. Sunderland had a major let-off two minutes into the second half though when keeper Max Stryjek was caught in no man's land from a left wing corner, but Aleksandar Boljevic headed wide with the goal at his mercy. It came at the start of an upturn in intensity levels from PSV, who pushed up the pitch 10 yards and showed far more hunger to put Sunderland under some sustained pressure. The opener duly arrived for PSV in the 57th minute after Luiz Beto da Silva's flick sent right-back Bram van Vlerken in behind the Sunderland defence. Van Vlerken's cross was cleared but only as far as skipper Clint Leemans, who from the right of goal, 12 yards out, calmly stroked the ball low into the far bottom corner. Sunderland didn't wilt after conceding that goal though and gradually forced their way back into the encounter. A nice move on the edge of the area involving Andrew Nelson and Carl Lawson eventually resulted in Greenwood firing a couple of yards wide after a superb first touch from the winger had created space to let fly. Martin Smith fired one just over in stoppage time, but that was as close as Welsh's side came to taking the encounter into extra-time.